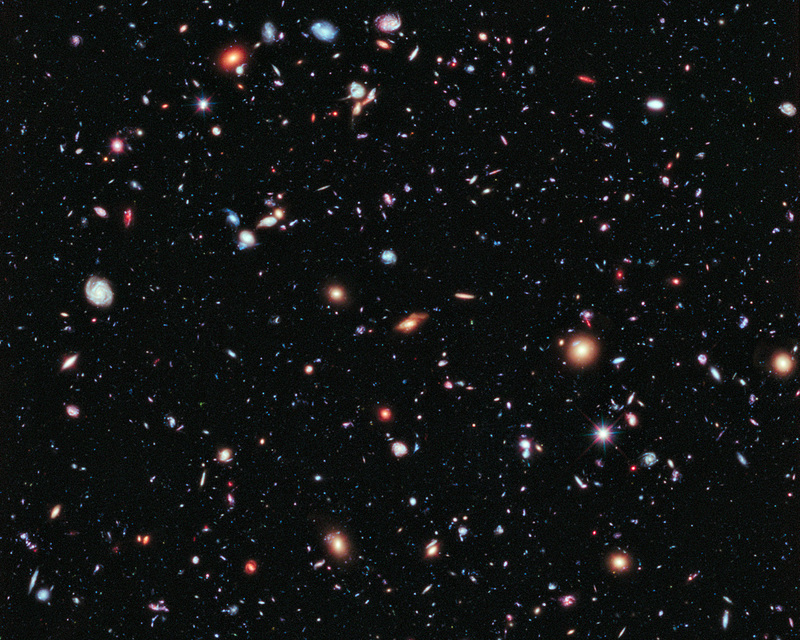 This image, called the Hubble eXtreme Deep Field (XDF), combines Hubble observations taken over the past decade of a small patch of sky in the constellation of Fornax. 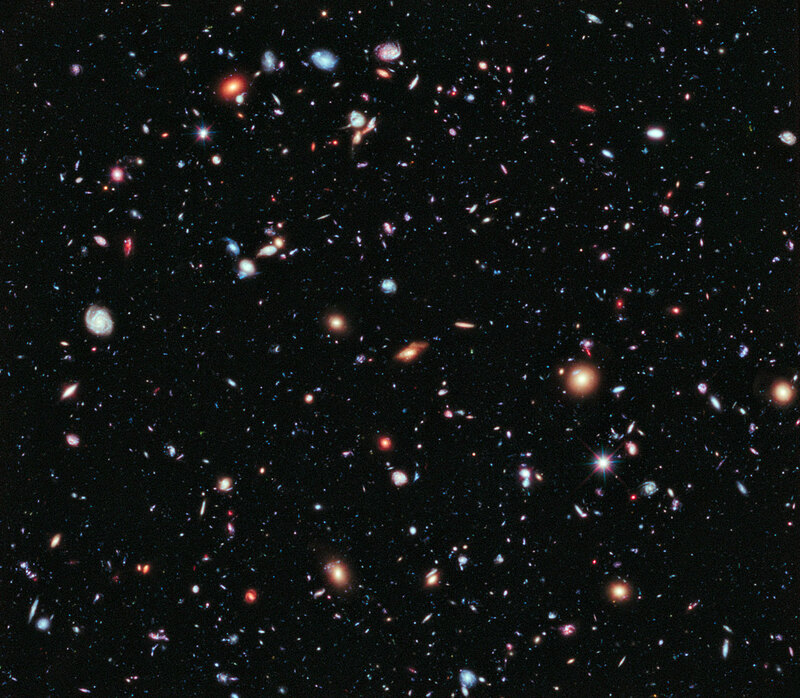 With a total of over two million seconds of exposure time, it is the deepest image of the Universe ever made, combining data from previous images including the Hubble Ultra Deep Field (taken in 2002 and 2003) and Hubble Ultra Deep Field Infrared (2009). 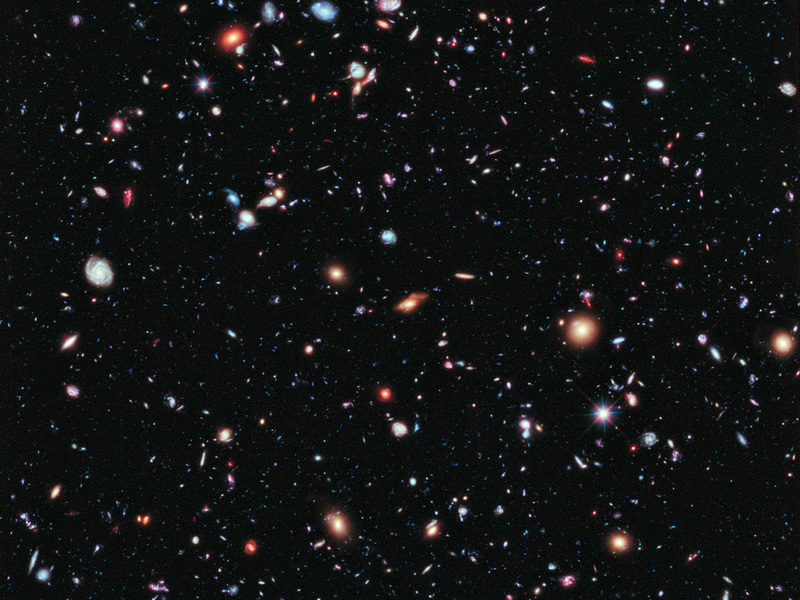 The image covers an area less than a tenth of the width of the full Moon, making it just a 30 millionth of the whole sky. 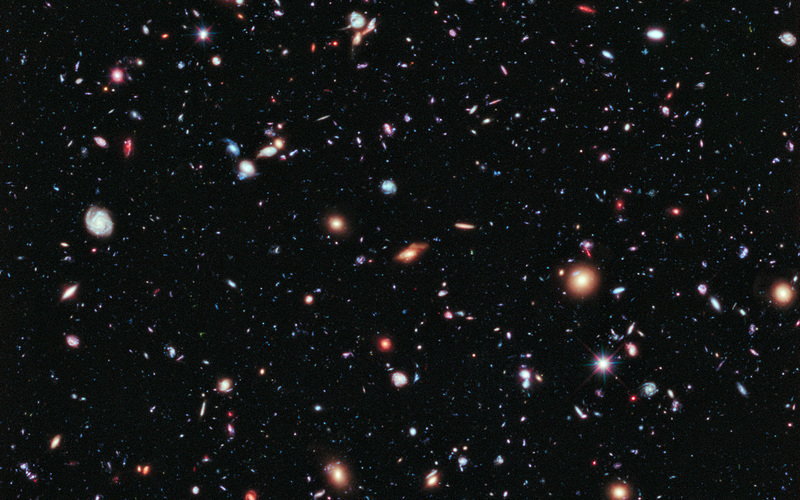 Yet even in this tiny fraction of the sky, the long exposure reveals about 5500 galaxies, some of them so distant that we see them when the Universe was less than 5% of its current age. Position (Dec): -27° 47' 30.11"